Curses. Failed again. I hate it when a movie based on a book falls under the radar without my catching the teeniest trace of it until it’s about to hit the big screen. And to think, the movie is a BAFTA winning film. Shame on me! 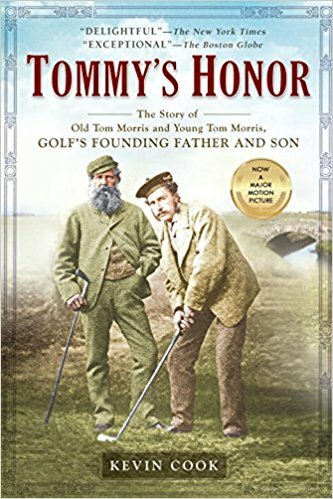 Tommy’s Honour—which is how any golfer who knows the importance of St. Andrews and the Morris family would agree to spell it in this context—is based on the eponymous book about the true life Scottish father and son who changed the face of golf. In the tradition of Seabiscuit, the riveting tale of two proud Scotsmen who beat all comers to become the heroes of a golden age—the dawn of professional golf. Bringing to life golf’s founding father and son, Tommy’s Honor is a stirring tribute to two legendary players and a vivid evocation of their colorful, rip-roaring times. Like the New York Times bestseller The Greatest Game Ever Played, Tommy’s Honour is both fascinating history and a moving personal saga. Golfers will love it, but this book isn’t only for golfers. It’s for every son who has fought to escape a father’s shadow and for every father who had guided a son toward manhood, then found it hard to let him go. Tommy’s Honour stars Jack Lowden as Young Tom Morris—you may have seen the acclaimed actor as Nikolai Rostov in the most recent War and Peace; he also has a leading role in the upcoming Dunkirk. 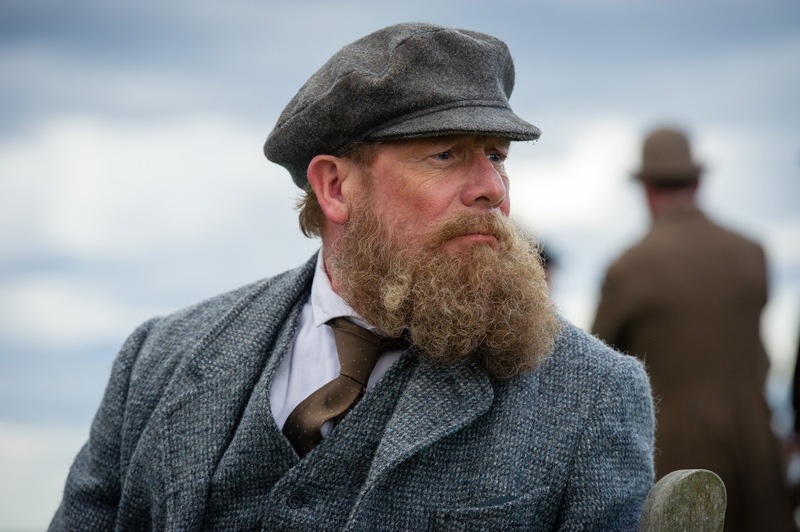 The part of Old Tom Morris is played by fellow Scotsman Peter Mullan. Mullan is a fantastic character actor with a hypnotic voice and one of those timeless craggy faces that pull you right in. If you’ve seen the New Zealand-set Top of the Lake, Mullan played Matt, the head of a family on the wrong side of the law. In the British television series The Fixer, he worked for the law, but not necessarily within the law. 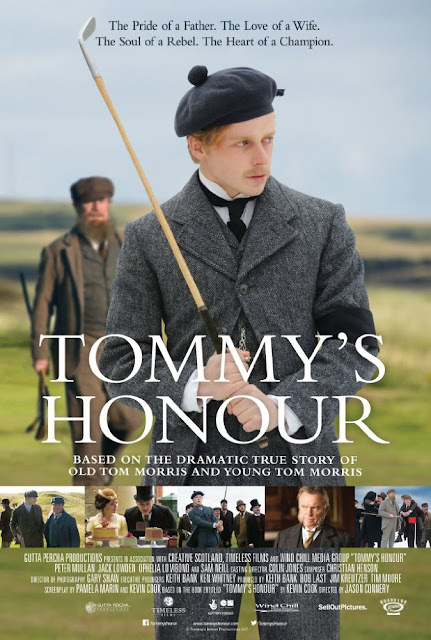 Tommy’s Honour, which also stars Sam Neill and Ophelia Lovibond, is directed by Jason Connery (Sean Connery’s son) and opens on April 14th. Check out the trailer. Looks good, doesn’t it? 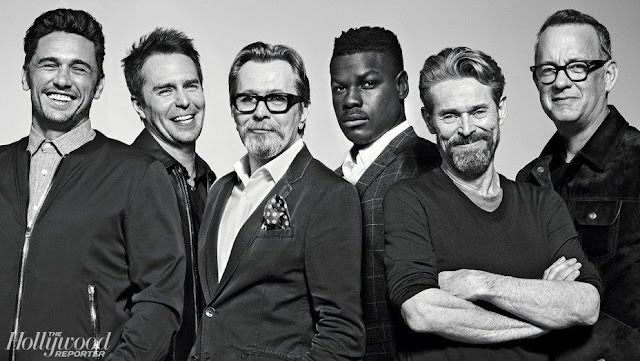 Don’t forget, the movie won the BAFTA Scotland award. geared to Anglophiles and where I’m linking up today’s post. 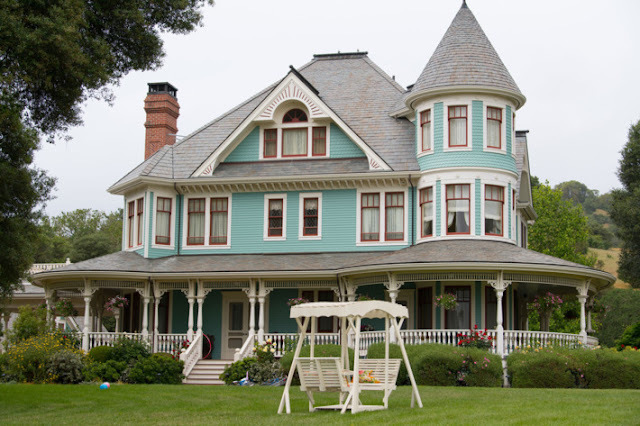 Some of you know that I have another blog—simcarter.com—where I write a bit of this and that. On Friday’s I usually write about walking around London—from my Los Angeles based desk. Here’s a link to one of the pieces, Finding Family in which I learn a little bit more about my own ancestral British roots. I’ll be traveling to London for real in a few weeks, I’d love to know what you think.